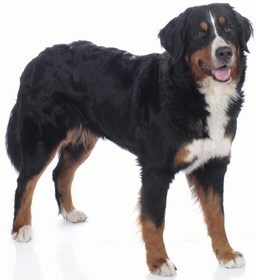 The Golden Mountain Dog is a hybrid breed of the Golden Retriever and the Bernese Mountain Dog. When you purchase a hybrid breed, you need to make sure that you work with a reputable breeder to ensure the health of your puppy. You will find that many diseases and medical conditions can be weeded out of the blood lines of your puppy, and if you work with a breeder who does the appropriate testing, your pup should not inherit any of these conditions. Some of the diseases and medical conditions you need to pay attention to include Von Willebrand’s Disease, cancer, allergies, OCD, eye problems, joint dysplasia, bloat, epilepsy, Panosteitis, and heart problems. Von Willebrand’s Disease may be present in your Golden Mountain Dog. This is a blood disorder that is characterized by platelets that are unable to clot due to a lack of proteins. 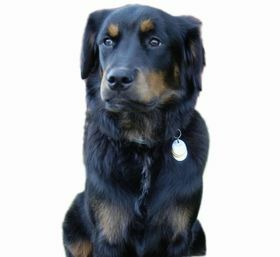 Cancer can occur in any breed of dog, but is more commonly seen in the Golden Mountain Dog. Cancer can form anywhere within your pup’s body, so it is important to make note of any changes in your pet’s health and report them to your veterinarian right away. Since cancer can develop anywhere in the body, you should keep an eye on your pup’s overall health. Some forms of cancer include bladder, liver, lung, and brain. Your Golden Mountain Dog may have allergies, which can manifest themselves in a variety of different ways. For instance, your dog may have skin allergies that flare up when certain items touch his or her skin, or you may notice that your pup has allergies to vaccines. OCD is a condition that will cause lameness in your pup’s limbs. This condition usually affects the shoulder, but can also affect the knee and elbow in your pup. Eye problems can occur in any breed of dog, so you do need to keep an eye on the health of your dog’s eyes. Some of the most common eye conditions include eye infections, blindness, and cataracts. Joint dysplasia can occur in the elbow or the hip. When this happens, it causes pain and unnecessary pressure on your pet’s elbow or hip socket. A fatal condition that you need to be alerted to is bloat. This condition occurs when your pet’s stomach fills up with too much air and then expands and places pressure on all of the surrounding organs. If not treated immediately, bloat can be fatal, and your dog can pass away in a matter of hours. Epilepsy, also known as seizures, may occur in your pup. This can be a frightful situation not only for you but also for your pup. Some seizures are labeled as violent, and they include the complete locking up of your dog’s body with convulsions and also foaming at the mouth. It is important to learn how to help your pup properly when this occurs. Your veterinarian can walk you through it. Panosteitis is a condition that causes bone inflammation in your pup. This condition is quite painful for your Golden Mountain Dog and can cause the joints in the legs to become stiff. You may notice that your pup has lameness and weakness in his or her legs. Lastly, your Golden Mountain Dog may inherit or develop some heart problems. These problems can include heart disease, a heart murmur, an irregular beat, and so on. The Golden Mountain Dog’s life expectancy is between 9 to 15 years. 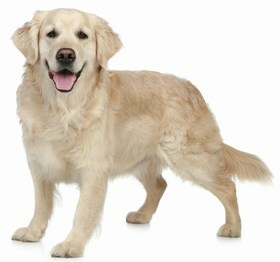 The Golden Mountain Dog is a wonderful pet for your home and is very affectionate. You will find that this pup feeds on your attention and wants to be loved. Even though this breed is not small by any means, he or she will attempt to jump into your lap to receive a pet or two throughout the day. Your pup is sure to be loyal to your family but is not considered to be a watchdog. In fact, you will find that your Golden Mountain Dog is friendly even towards strangers and does not bark a lot. If you take your time with your pup, it will pay off, and you will find that he or she works hard to please you. This breed does need exercise and will require a home with a large, fenced-in yard. Also, you should take your pup for a walk at least once per day for 30 to 45 minutes. Playing outside is always good, and your pup will get along with other pets in the home and with your children. Your Golden Mountain Dog is intelligent, which means that he or she will train quickly. You will find your pup is eager to please you and will respond to your commands. It is important that you socialize and train your pup early on because this is a large breed which can overpower you or another animal easily once it is fully grown. 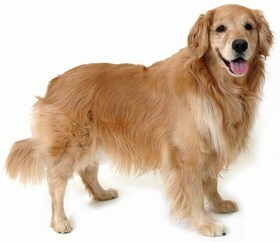 Your Golden Mountain Dog will shed quite a bit and does require a daily brushing of her coat. You should try to remove any loose hairs that you notice, as this will cut down on shedding too. You do not need to bathe your pup on a regular basis, but you do need to make sure you clean his or her ears once per week. Lastly, make sure you keep an eye on the growth of your pup’s nails, as they can grow fast and need to be trimmed once per month or as often as needed. The Golden Mountain Dog eats four to five cups of food per day. You should feed your pup a healthy, high-quality food that does not contain chemicals or fillers. The best type of food will have all natural ingredients such as vegetables, whole grains, and meats. Looking for a Golden Mountain Dog? A Golden Mountain Dog puppy will cost you anywhere between $450 and $1,500 on average. This will depend on the location of the breeder, the quality of the dog, the gender, and other factors. In addition to this fee, you should factor in costs for vet care, vaccines, food, toys and supplies for your pup. These additional expenses can easily add up to over $1,000. Ranking takes into account a few basic factors including cost, skill level needed, high vs low maintenance and how critical regular training is to success. 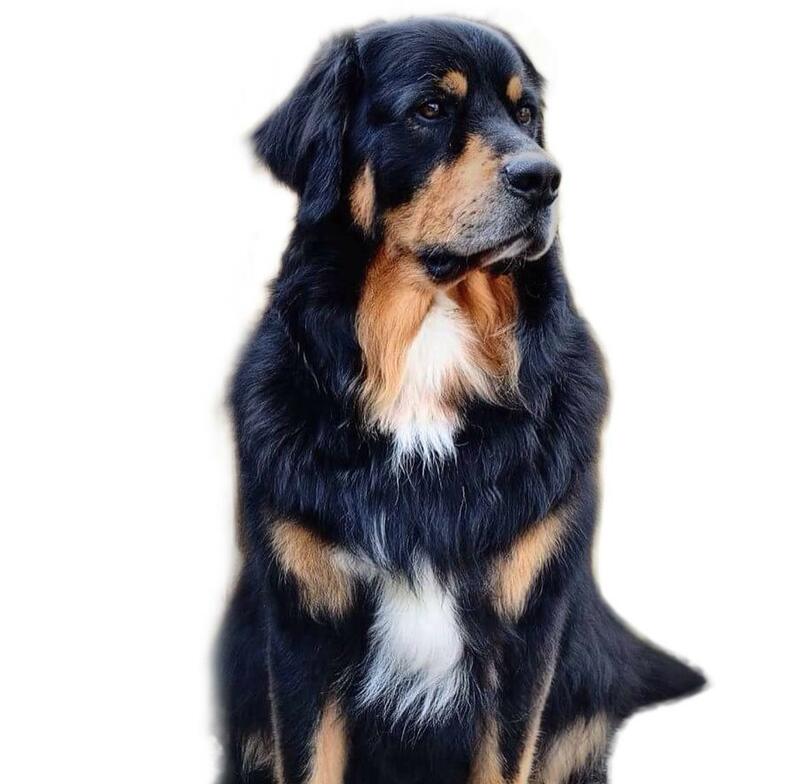 The Golden Mountain Dog is a wonderful dog for your family and is good with children and other pets. You will find that your pup likes to play out in the yard and will chase you around. This breed ranks a 1.